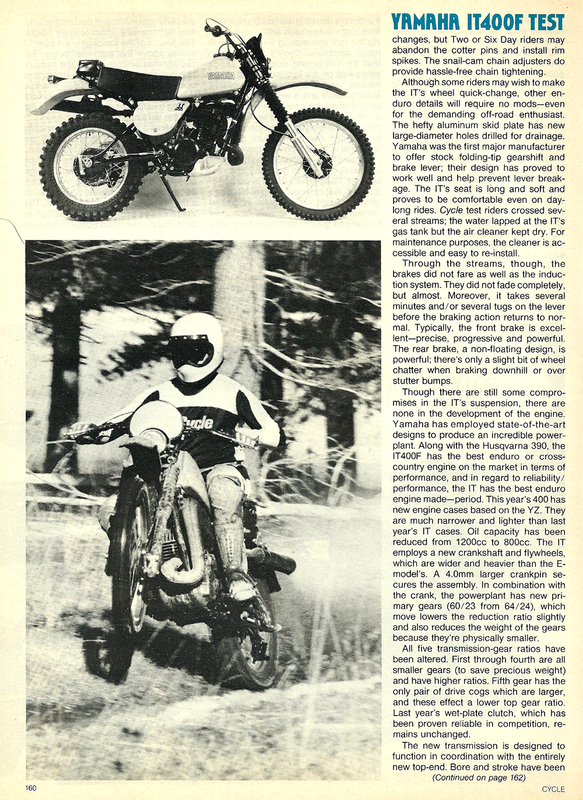 "Before 1076 Enduro riders modified YZs for woods work. The machine's performance? So-so. 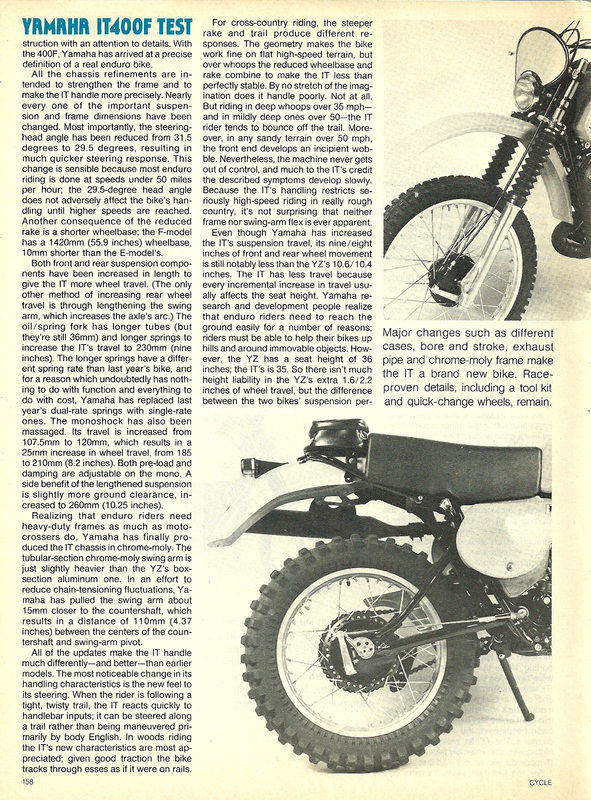 Then along came the IT-C, a factory-modified YZ; the IT was an adequate but uninspired enduro bike. Later, while the 1977-78 YZs took a technological leap, the ITs plodded along--nice, but hardly devastating machines. This year's IT400F combines advanced YZ technology with traditional IT trickness. Performance? Truly exceptional."